Usually, this time of the year i would probably be in Singapore doing my annual shopping for shoes, clothes and meeting up with friends down under! 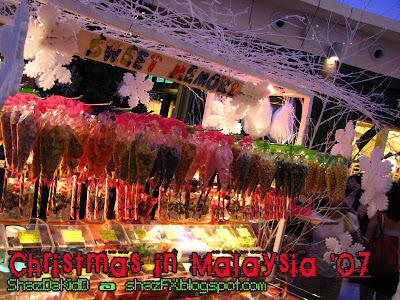 But this year... most probably i would just be staying here in KL and enjoy what Malaysia has to offer for this festive season! Well well... the Curve in Damansara has lots to offer, currently it's one of the few shopping malls in town that provides a cool & festive season celebration deco in its centercourt. This just doesn't stop here... the deco goes all the way to the open air area of the shopping mall. So far, the Curve features the BEST Christmas deco in town this year! Want more pics from the Curve, you'll hafta wait as i'm slowly updating all of the happenings in town!!! 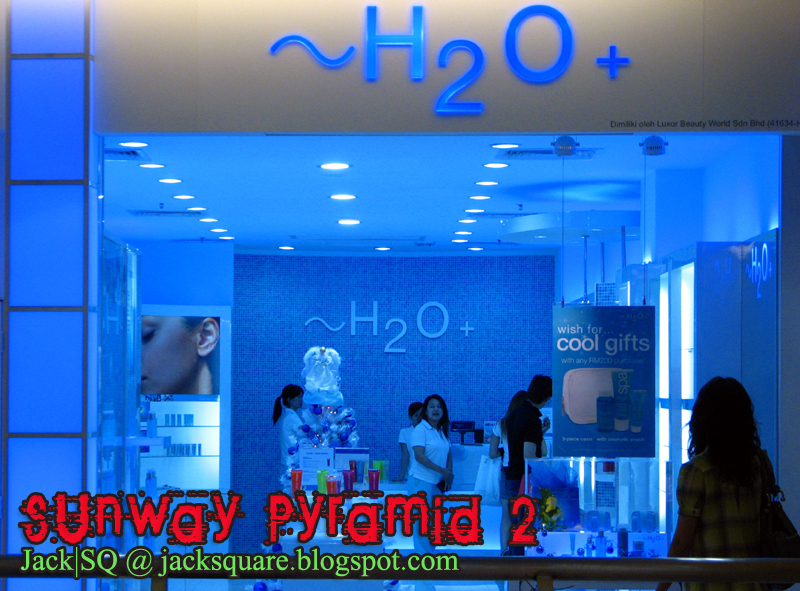 But this time around, i would also like to feature the lunch that i had with Jack and Gary here at Sunway Pyramid! 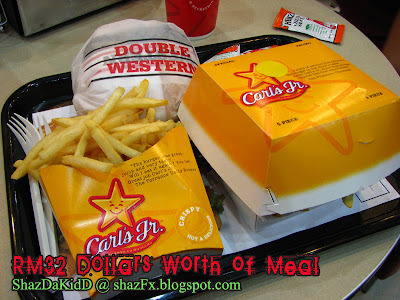 Carl's Jr. was awesome... le'ts hope Wendy's would be much better! Hahah... yes Jack's back from Australia and he's been quite busy! 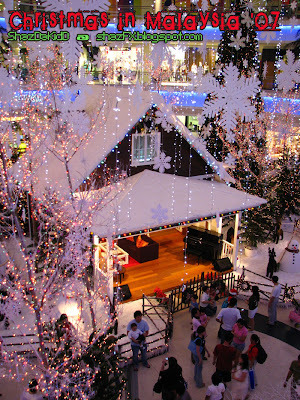 An aerial view / overview of the Christmas Deco here at the Curve! 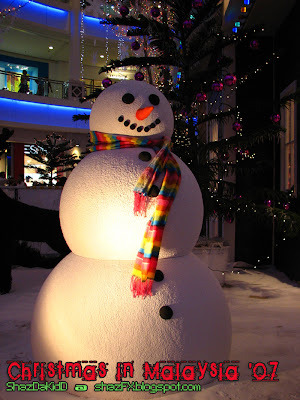 The snowman looks very real!!! The snow on the floor looks real too! It has never been this real before! 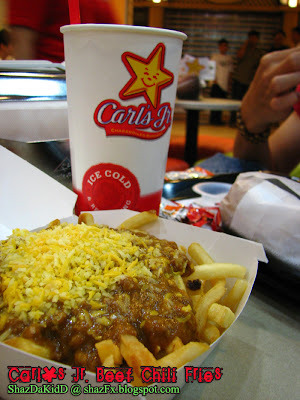 Lunch at Carl's Jr... so who was lying to who? Erhmmm... i'm lost! 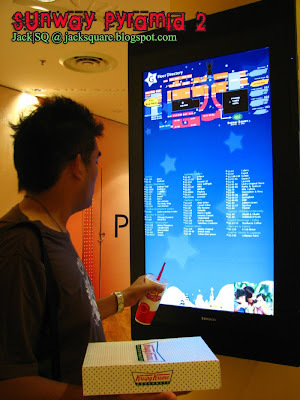 This cost us RM32! Is it worth it? Let's see... a Double Bacon Western Cheeseburger with Beef Chili Fries and a medium French Fries and a medium size Iced Lemon Tea (freshly brewed). 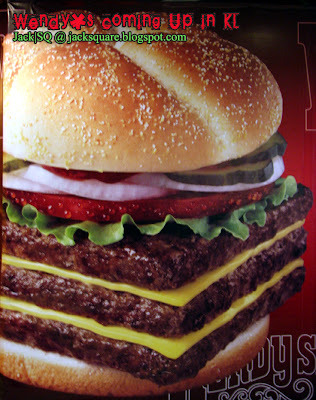 At last the burger doesnt look so tiny anymore... but now it probably looks huge to you! 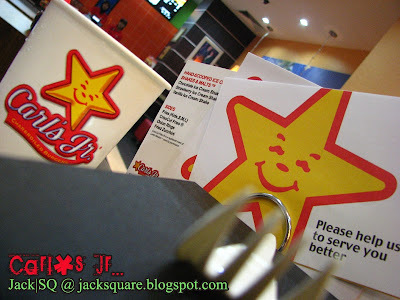 Jack's first try to Carl's Jr. - it was a great try and he was full! We all were full la... so much to eat! After 5 months not being able to see him... as he further pursue his studies in Australia! Well now... he's back! We had a lot to chat about! When they said it's gonna get messy... they weren't lying! They actually put a box of those serviettes on the table and we used quite a few! 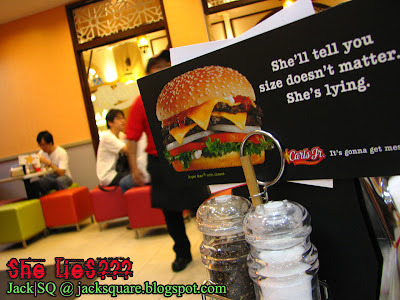 The settings here at Carl's Jr. is different than what you always see at other fast food outlets! 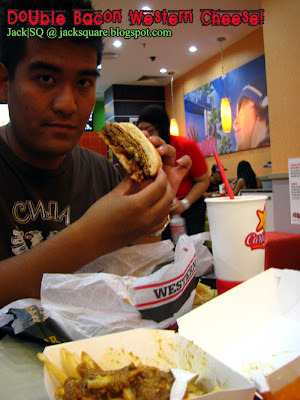 Well Carl's Jr. is not really considered as a fast food really.. it's just a grade higher than fast food and a grade lower than casual fine dining (i.e. : Chili's, TGIF). 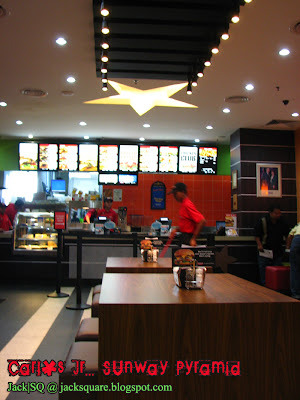 The star is the symbol of... err i really dunno but it makes us all eat happily here la! And there you go... we found the magnificent WENDY's still undergoing construction! Let's wait and see when is it opening up! 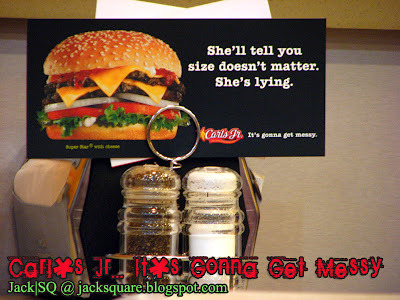 You'll surely love this BURGER 2 da MAX! That's one of their major best selling burgers!!! OMG... tempting isn't! Not forgetting Gary... here he is! 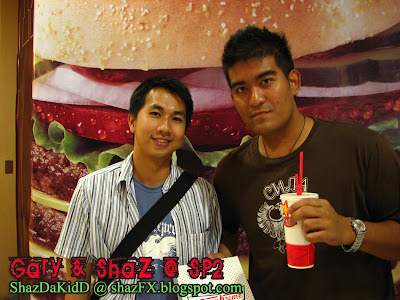 Congrats to the chap juz finished his last exam yesterday! See u back in KL aightt! 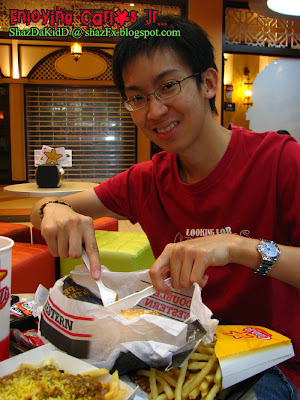 By the way... had lunch with him that day at Cyberjaya! But that's a different story altogether! 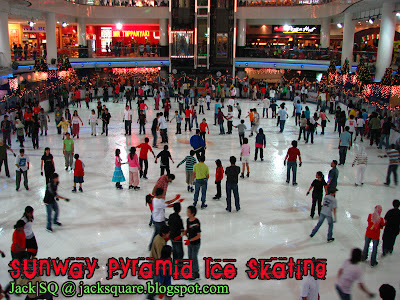 Sunway Pyramid - the only mall in Malaysia to feature a true life size ICE SKATING rink inside the mall! 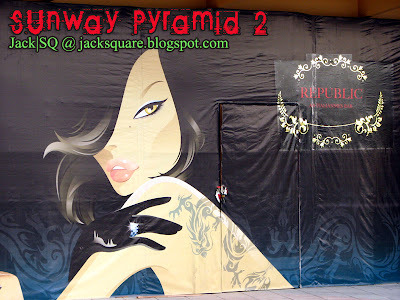 If you walk right outside Sunway Pyramid 2 - you'll see "REPUBLIC" this is another chain of restaurants / lounges / and bar that's together with Laundry Bar, Italiannies, TGIF and the Apartment. Basically Republic is an addition to this chain of restaurants!!! Wow... so BLUE arr!!! H20 previously you can see this shop at the old wing of One Utama, not so sure if it's still there but its here at Sunway Pyramid 2!